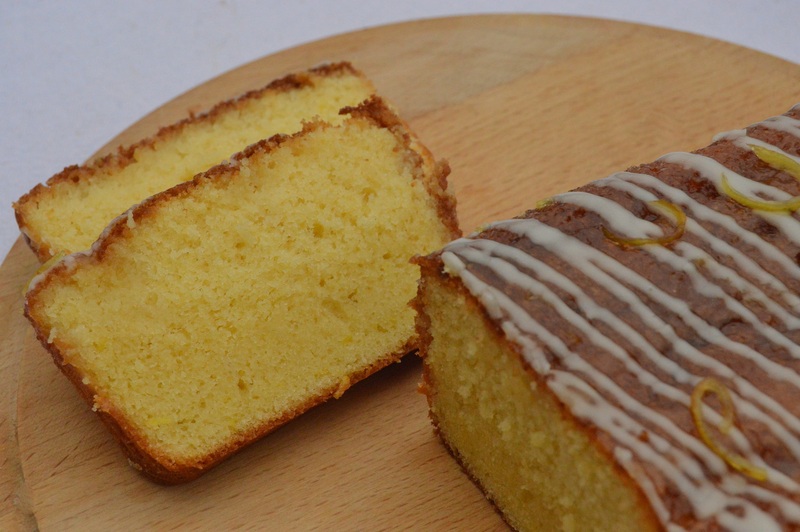 While it is always a joy to making more elaborate cakes for friends and family, I love the total simplicity of a drizzle cake: no fuss, tangy, very moreish and so perfect with a cup of tea! And a slice of it eaten on a dreary day instantly evokes summer days for me! Truth be told, this is the sort of cake that makes me the happiest when it comes to eating cake (with a no-frills Victoria Sandwich and a coffee & walnut cake fighting for top spot!). But this is arguably the easist cake in the world to make. 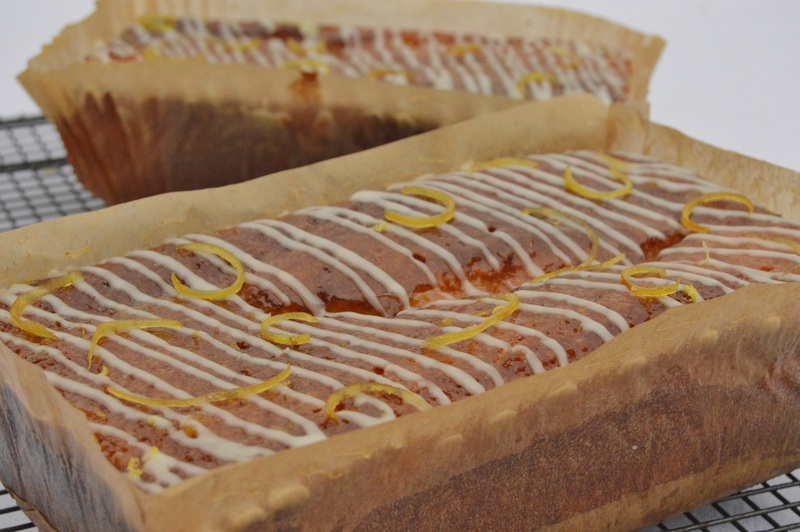 A real explosion of lemon flavours, this cake is always a treat to eat! 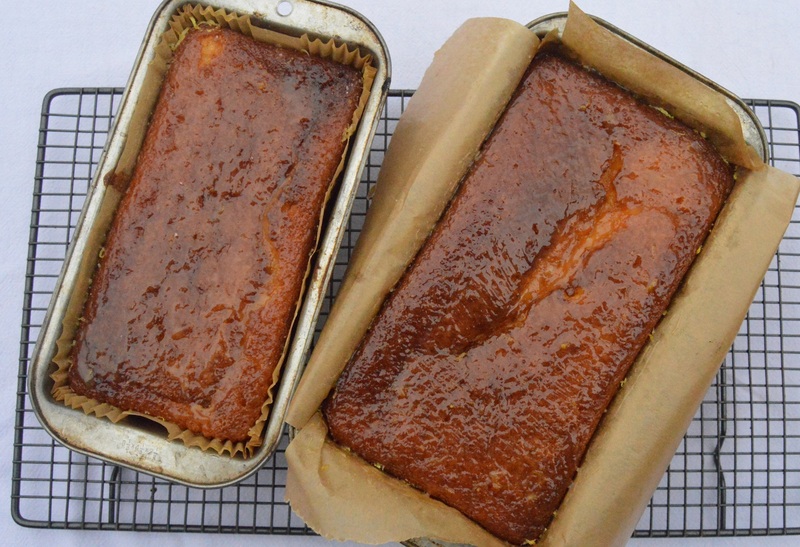 The recipe for the sponge is a variation on a recipe given by Raymond Blanc. 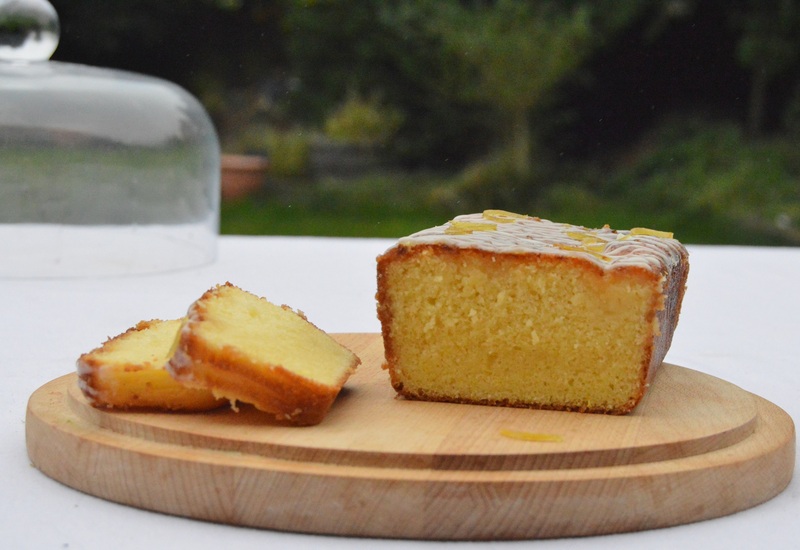 Having very much enjoyed eating his lemon drizzle cake a few times at Le Manoir aux Quat’ Saisons, and having made his recipe for this wonderful cake numerous times, I do like to tweak a recipe: crikey, I often tweak or even radically over-haul my own recipes from time to time! I have replaced the cream with milk, added a hint of vanilla and boosted the lemon flavour. I also like to brush a little lemon curd over the cake and finish with a sharp lemon icing: the lemon curd and the icing are really not essential, and purists may well sneer (let them! ), but that extra sticky lemony kick adds, I think, a touch more indulgence. (1) Pre-heat the oven to 175°C (fan). (2) Butter a 2lb loaf tin (about 22cm by 11cm at the top, 6cm deep) and line with greaseproof paper – or use a paper loaf liner. Alternatively, use a deep 8″ round cake tin, also lined, or mini loaf tins/muffin tins, adjusting the cooking time accordingly (see step 4 for checking it has cooked). (3) Beat together all of the above ingredients for about minute to get a fairly thick batter. Pour this into the prepared tin. (4) Bake in the pre-heated oven for between an hour and 70 minutes, checking the cake after about 50 minutes. If you feel it is starting to brown too much on top, place a piece of greaseproof over it. To test if the cake is cooked, insert a skewer into the centre – if there is no mixture on it when you remove it, the cake is ready. If using mini loaf tins or muffin tins, bake for about 20 minutes. (5) Towards the end of the cooking time, make the drizzle: mix the lemon juice and sugar together in a bowl: the sugar doesn’t have to dissolve at all, and you will have wonderfully sharp crunchy bits on top. NB: if you then glaze the cake with lemon curd, this will dissolve most of the sugar. But the upshot is you have an extra lemony kick. (6) About 10 minutes after the cake has come out of the oven, prick holes with a skewer over the surface of the cake and pour the drizzle over it, a little at a time. Brush over the lemon curd, if using. Leave to cool fully in the tin. (7) If going for a tangy, sticky icing as well, when the cake has fully cooled, remove from the tin and peel away the greaseproof. Mix the icing sugar and enough lemon juice to give a fairly runny icing. 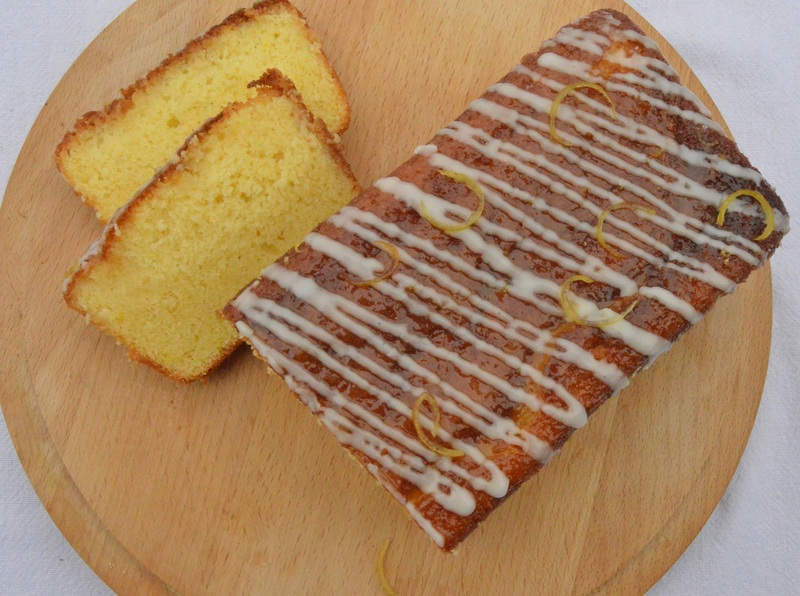 Drizzle this liberally over the cake and sprinkle some finely grated lemon zest over the top. Just look at the beautiful glaze. i really love the look and sound of this cake…total winner . I could eat the whole cake myself 🙂 I love,love this cake so much. thanking you for sharing Phillip. such a gorgeous cake, lemon is my fav.